This 30 minute class is tailored to the development and attention span of 2-year-olds and young 3's. Gross and fine motor skills, balance, coordination, basic ballet steps and tumbling are explored in fun and creative ways. Ballet/Acrobatics Combination – Children will learn basic ballet and explore creative movement during the first half of the 50-minute class period. The second half of class will explore basic tumbling skills and develop gross motor coordination. Ballet/Tap Combination – Children will learn basic ballet and explore creative movement during the first half of the 50-minute class period. The second half of class will explore beginning tap skills in fun and creative ways. Jazz/Tap Combination – Children will spend the first half of this 50-minute class learning tap dancing. The second half of class explores basic jazz technique, creative movement and developing gross motor coordination. Ballet/Acrobatics/Tap - Children spend 20-25 minutes on each dance style, ballet, acrobatics, and tap. Cecchetti and Royal Academy of Dance syllabi are taught in a disciplined and nurturing environment, to instill correct technique and encourage creativity. Starting in level Primary 4, students are encouraged to add Pre-pointe to their classes, in addition to their technique class. Pointe work is only begun with instructor permission, 2 years of pre-pointe experience, and after the age of 12. Kinderballet (age 4-5) – An engaging exploration of ballet and creative movement, designed to nurture creativity and enthusiasm for dance. The class focuses on stretching, musicality, basic ballet principles and transforming creativity into choreography. Primary Ballet Levels 1-4 (ages 5 ½ - 10) - Students are grouped according to age and ability. The primary levels lay the foundation for correct technique, musicality, and a love for dance. Ballet Grade Levels 1-6 (ages 9+) – Students age 9+ follow a progression of learning proper ballet technique and are advanced by instructor permission. Pre-Pointe (age 9+) – Students who dream of dancing in pointe shoes someday must take a minimum of two years in pre-pointe. This class focuses on furthering their technique and building the musculature necessary for pointe work. Pointe (age 12+) – Students are recommended for pointe work at their instructor’s discretion. A syncopated movement dance form that is fun for all ages. Jazz technique is taught using Al Gilbert jazz syllabus as a guideline. Our Modern (or Contemporary) Dance classes encompass a multitude of styles and techniques and give students the opportunity to explore this artistic and free-flowing genre. 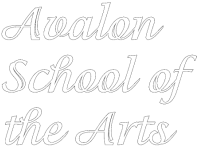 Basic principles taught throughout all levels of Modern Dance at Avalon include, but are not limited to, working in parallel and turn out, rolls and falls, swings, spirals, isolations, contractions, and improvisation. Musical Theatre is an exciting class in which students explore the music of the stage through acting, singing, and dancing. Dance technique is jazz based. Weekly classes include a variety of activities: improvisation and acting games, vocal warmups and technique and repertoire study that pulls all three aspects together. Students are grouped according to age and ability. Basic and advanced tumbling skills are taught. Students may enroll in advanced level classes with instructor permission.